Space is limited. Please call to notify Training & Consultation if you are unable to attend. Cancellations made within 24 hours prior to the start of the training will be charged the full registration fee. Sorry, no exceptions. Learn the “Do’s and Don’ts” about safe medication administration. How can you reduce risk for the people that you support (and yourself) when handling or taking medications? What questions should you ask about medications? Where can you get answers and information? This class will provide answers to these and other questions and help you gain information on how to safely administer medicines and to provide you with some guidance in how to handle situations related to this important responsibility. The primary focus of this class is the administration of oral medications (pills, capsules, liquids, powders…) in a community (residential or vocational) setting. The classes are particularly recommended for anyone who is responsible for administering medications or for participating in a medication distribution system. 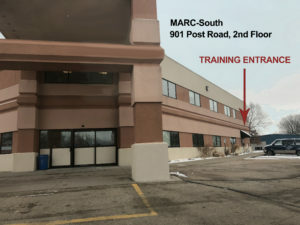 Please note that the training will be held at MARC-South: 901 Post Road, Madison WI 53713, on the 2nd Floor. The training entrance is located on the right side of the building as you face the main entrance.